A cloud based phone system is a phone service that is delivered through the use of the Internet. This type of phone system is also referred to as an Internet based phone system or Voice over Internet Protocol (VoIP) and it works in conjunction with cloud based virtual phone numbers. These phone systems allow for calls, typically in a business setting, to be forwarded using an Internet connection. 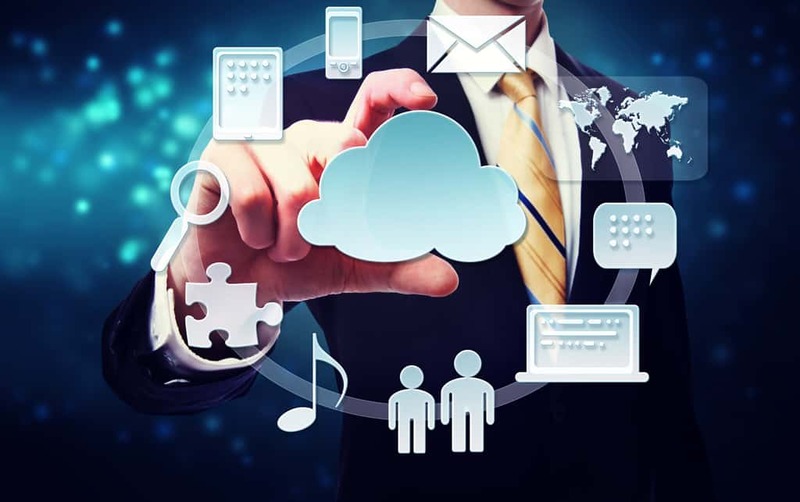 A VoIP cloud based virtual phone system does not rely on traditional on location hardware or the costly maintenance that often goes along with that type of equipment. This type of phone system can save your organization a large amount of money. Research indicates that businesses that switch to this type of phone system can save up to 40 percent on local calls and up to 90 percent on international calls in comparison to the use of a traditional phone line. Those savings alone are sufficient enough reason to contemplate a switch. Those dollars can then be put toward other areas within the business. The primary requirement of a cloud based phone system and cloud based virtual phone numbers is that there is an ability to deliver calls over an Internet connection. A cloud phone system, however, can also route incoming calls to staff members within the company that the calls are intended for. There are many features, such as voicemail and call recording, that work alongside these cloud based virtual phone numbers, increasing the value of the communication system immensely. Another attractive attribute of using a cloud based phone system is that you have the ability to easily manage your own system without the need for an IT support member. United World Telecom offers cloud based virtual phone numbers and phone systems. Set up is simple and ongoing management of the system is simple as well. Updates and modifications can be made in real time through the use of an easy to use, online control panel. Geographic flexibility is another benefit offered by cloud based virtual phone numbers. You do not need to be at your desk to make or receive calls with a cloud based phone system. Cloud phone systems permit you to work from anywhere in the world that you have access to working Internet. Geographic flexibility is a wonderful tool for those business owners looking to connect offices located in various locations under one phone system. Whether the locations are in different states across the United States or in various countries across the globe, a cloud based phone system allows for all staff within your organization to operate under one phone system and have it managed by a single administrator in any location. Reliability is also a key factor in the use of cloud based virtual phone numbers. For example, if there is a power outage in one location, it is fairly simple to have all calls rerouted to another location to avoid any significant amount of downtime. United World Telecom cloud based virtual phone systems deliver a deep set of features and extremely reliable service. This is highly beneficial in helping businesses save money and improve their communications. The global communication specialists at UWT are highly dedicated, experienced, professional, and extremely knowledgeable. If you have questions or inquiries about how the services can work for you, they are available to assist you. Cloud based virtual phone systems are becoming increasingly popular for businesses of all types. There are solutions for small and medium-sized businesses, as well as startups and even large enterprises, giving business owners a new kind of reliability and flexibility when it comes to phone systems. If you are contemplating a switch to this type of platform, call United World Telecom today to discuss the details and all of the advantages of utilizing this type of phone system.